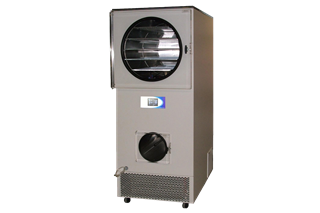 The GPFD- General Purpose Freeze Dryer is available in 25 and 35 Liter configurations. Condenser refrigeration packages of -53, -70 or -85C allow you to configure the most economical system for your products The GPFD is available in 2 to 5 shelf configurations with optional programmable heat. The GPFD is ideal for bulky product, such as floral arrangements and taxidermy specimens where low energy input is required and long freeze drying cycles are common.